Books can be a wonderful way to introduce and spark curiosity in children about .. well, everything and anything really! Science, technology, different cultures, emotions, animals... the list is endless. Stories are an invaluable resource for teachers in the classroom as a teaching aid. The monsoons have started to sweep across many parts of India this month, so we decided to share our 5 favourite books about the rains with you! This list has books across reading levels and languages. You're sure to find the right story for your child/children and remember, you can always weave a story of your own, translate one of these to a language you're fluent in or even relevel a story to make it appropriate for children you are reading to. Let's get our umbrellas and rain coats ready! It's a downpour of stories. 1. 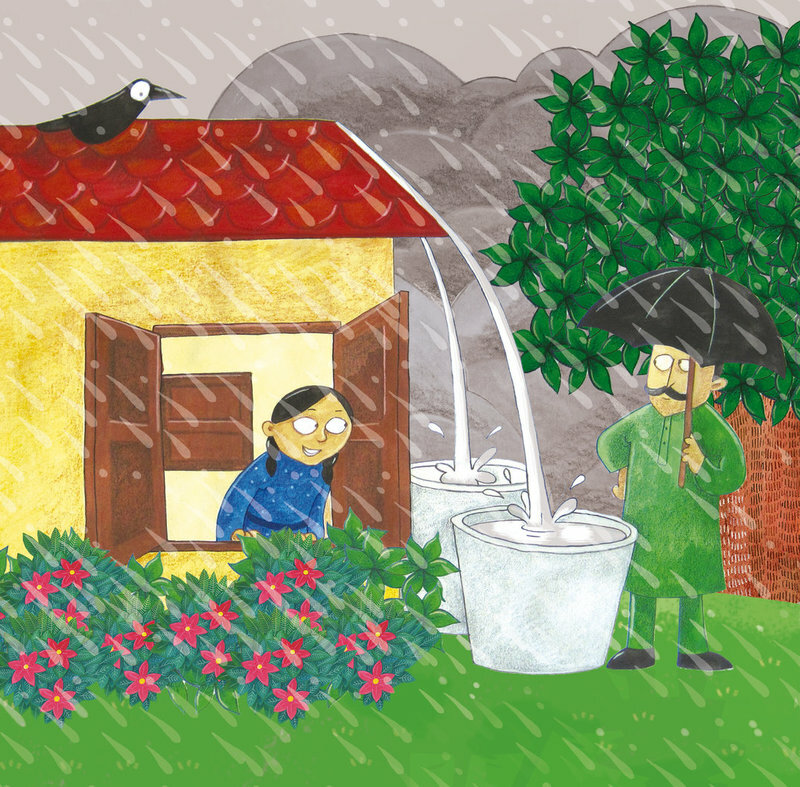 बरसा बादल In English as 'Rain, Rain' by Sanjiv Jaiswal 'Sanjay' and Ajit Narayan. Everyone wants it to rain! 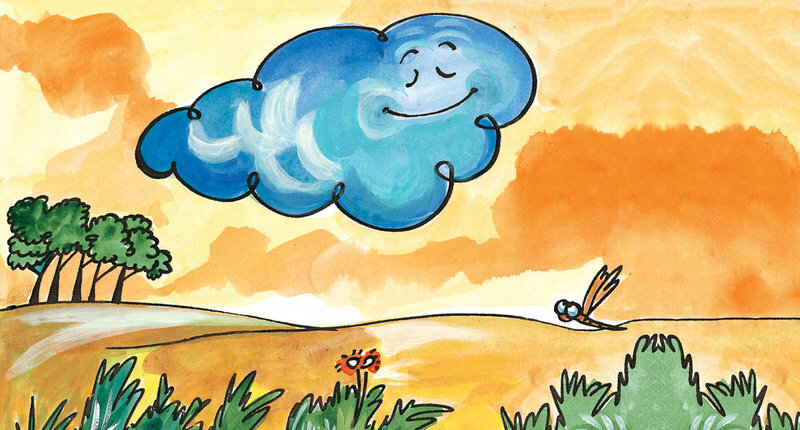 A peacock, a farmer and even a little child all request a cloud to oblige them with some rain. Will she or will she not? This is a sweet book and perfect for reading aloud to young ones. There are so many conversations this book can lead to - how we need rain to grow food, the different kinds of games we can play when it rains and even the animals that emerge when there's a downpour. This story is available to read in seven other langues! Little Manu is delighted with his shiny, new raincoat! What a lovely red it is too! He can't wait to wear it. But what's this? It just won't rain! Will he ever get to wear his new raincoat? Read this book to find out. It can be read in 10 languages including top notch community translations to Urdu, German, Tibetan and French. This is from Pratham Books' very popular 'Sister, Sister' series. Little Brother is full of questions and this time he wants to know where thunder comes from. Is it the roaring of the angry giant who lives in the sky that causes the heavens to rumble, or is it just the wild biker gang up in the clouds that makes all that noise? 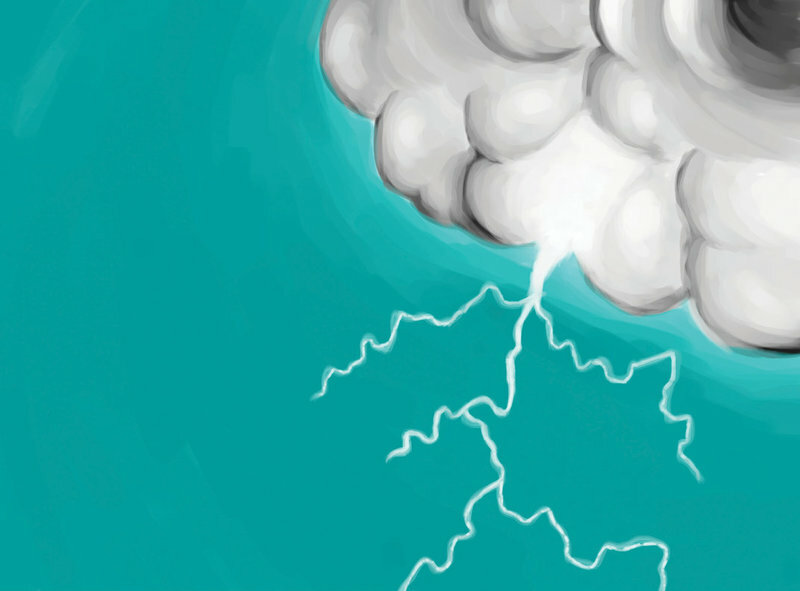 Of course, Big Sister has the right answer in the end, but before you start reading this fun book to find out, remember to ask, where do YOU think thunder comes from? This book is a celebration of all things monsoon, not just pakodas and peacocks as the title suggests. Hot, saffron laced milk, saving rain water, lush greenery and everything else that comes along with the rains. Priya Kuriyan's gorgeous illustrations bring the words alive, you can almost feel the fine spray of rain and smell the just drenched earth. Which one is your favourite? Do you have a rain story you want to share? You can create one on StoryWeaver and use some of the gorgeous illustrations in our image bank to help you!